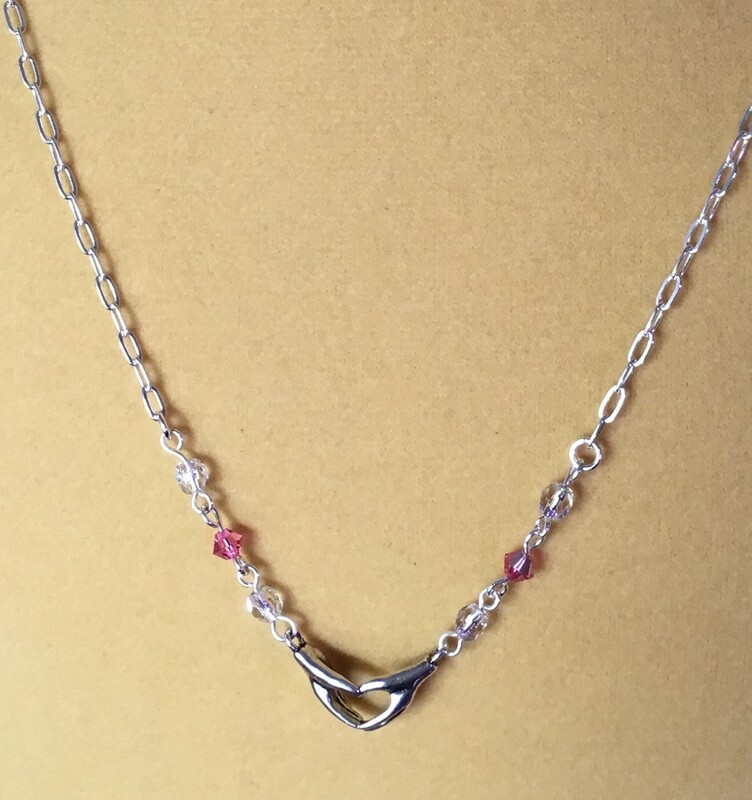 I love the LB heart in hands link so linked up some rose Swarovski bicones and LB silver lined crystals to a silver filled chain for a dainty Valentine! Sweet, dainty, and wearable well beyond Valentine’s Day! This is such a delicate delight. Thankyou! I too was thinking wedding, prom, anniversary…. Very pretty and I agree its suitable for anytime. 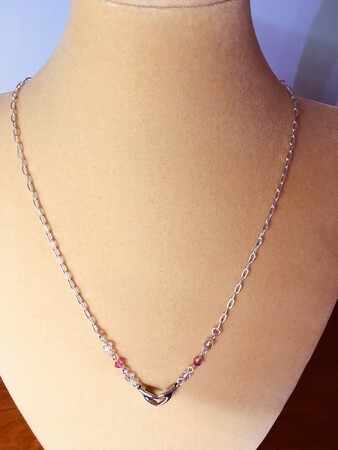 This is quite lovely Kathryn.Perfect for Valentines, or Wedding etc. Instant Fave for me! So sweet, so fine … I’d wear this a lot! A lovely and delicate design. And I agree that it is suitable for any time. Such a sweet necklace. perfect for that special occasion. Great way to use Svarowski crystals! I love the beads, but sometimes I’m at a loss on what to do with them. This is a wonderful idea!